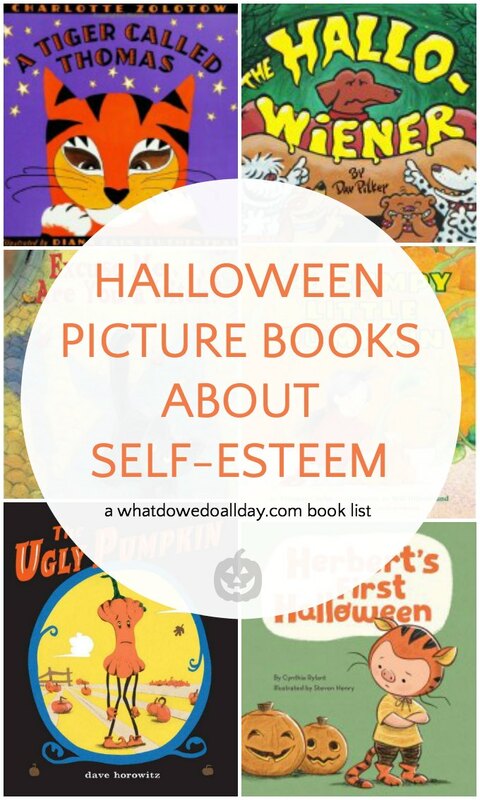 It’s easy to find Halloween picture books in the library. Just head to the holiday book section and search for the orange pumpkin stickers. For that reason, I wasn’t planning on making a Halloween picture book list. 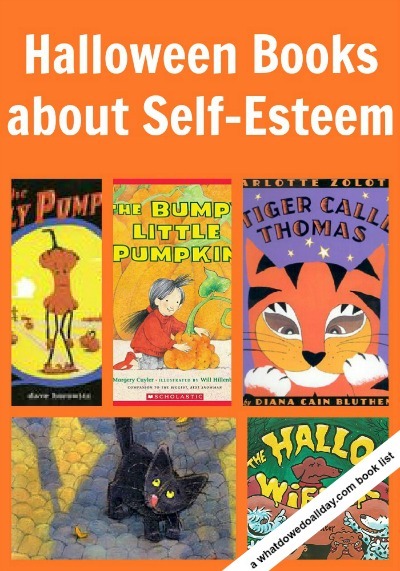 Yet, while perusing the selections and reading the books to my kids I noticed that many of the best Halloween books that we enjoyed has a certain theme in common: self-esteem and learning to love one’s own identity! I suppose it has something about dressing up, the chance to be someone other than yourself. Themes about finding oneself and learning self-acceptance are also common threads in books about theater, which makes sense—donning a literal costume, whether its on stage, or on Halloween makes us think about the figurative costumes and masks we wear in real life. But enough of my philosophical waxing about this stuff. 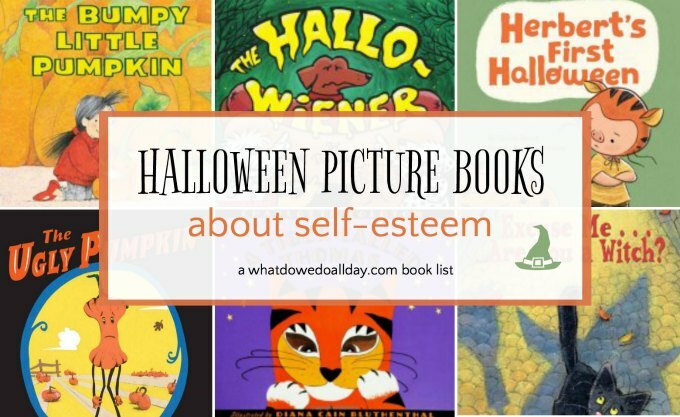 The main point is that theses Halloween picture books about self-esteem are awesome, they will make you smile—and in some cases laugh out loud. 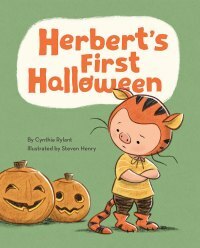 Herbert’s First Halloween by Cynthia Rylant, illustrated by Steven Henry. 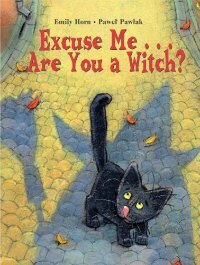 When Chronicle Books sent me a copy of this title, I knew I wanted to add it to this list of Halloween picture books! Herbert (who, as you can see, is a cute little pig) is nervous about his very first Halloween. His dad is very understanding and coaches him through the process of getting ready for the big day. They carve pumpkins, put together a swell tiger costume and even practice roaring. Herbert has gained so much confidence and enjoyed the big day’s festivities that he even declares that next year he will be a bear! 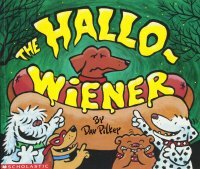 The Hallo-Weiner by Dav Pilkey. This is truly the funniest Halloween book you will ever read. When you’re a wiener dog it is pure torture to have a mom make you wear a hot-dog costume! All of Oscar’s fellow dog friends make fun of him. But soon the joke is on them when it turns out they are really scaredy-cats. Oscar, it turns out this the bravest wiener dog around and earns his friends’ appreciation when he saves the day night. 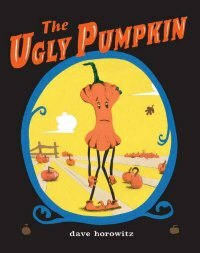 The Ugly Pumpkin by Dave Horowitz. What’s a pumpkin to do at Halloween when he doesn’t look like all the other fellows? No one wants him around. As it turns out, it’s best to wait until Thanksgiving when you will discover your real peer group! A Tiger Called Thomas. 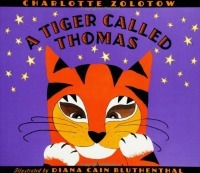 Renowned picture book author, Charlotte Zolotow penned this lovely story of the new kid in the neighborhood who is too shy to meet his neighbors until he dons a tiger costume. When he discovers that his neighbors all know him despite the costume the result is heartwarming. Excuse Me Are You a Witch? by Emily Horn, illustrated by Pawel Pawlak. A lonely little black cat named Herbert (not to be confused with Herbert the pig… see above.) is quite lonely. He doesn’t have a family, or friends. And the windy, cold weather is absolutely miserable. One day he goes into a library and starts to read a book called “The Encyclopedia of Witches.” He learns that witches love black cats! If only he could find a witch! So he sets off to find a witch to whom he can belong. At first it’s not so easy. But when he gets back to the library, his fortunes change and he finds his place in the world. 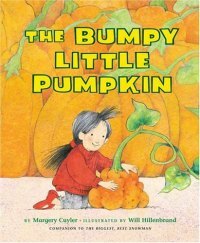 The Bumpy Little Pumpkin by Margery Cuyler, illustrated by Will Hillenbrand. I adore this sweet book about the youngest witch of three sisters who wants to make a jack-o-lantern out of not-so-perfect pumpkin. Her sisters poo-poo the idea, but a few friendly animals help her out. These sound lovely! Thanks for giving us some fun, Halloween-themed October book ideas! I haven't read that last one. I love any books with a library aspect! What a creative idea for a Halloween list! I never thought about the rhyming aspect, but you are right. It would make a great song. Halloween books with a great purpose, who would have thunk it? Great list. They look like really cute stories.